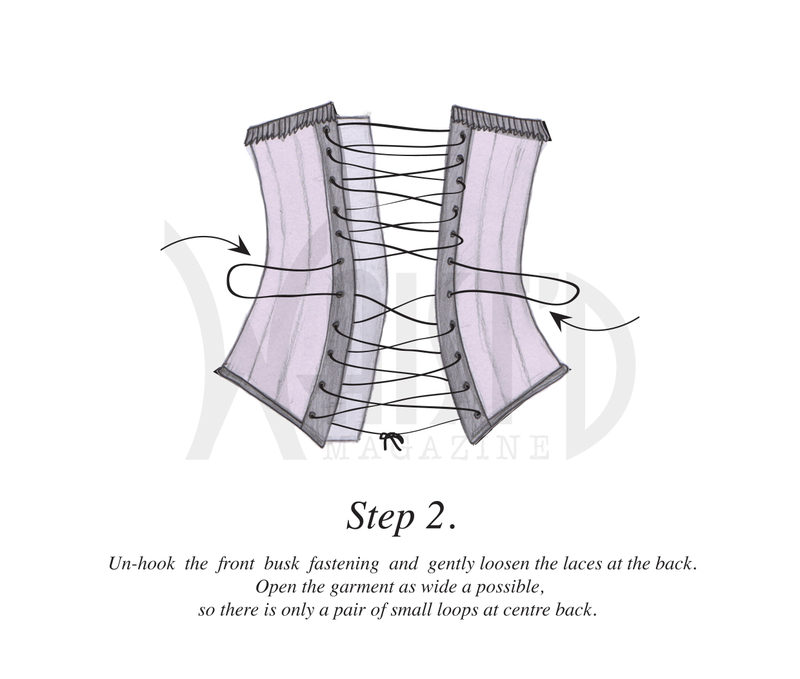 The lacing yourself into a corset video. 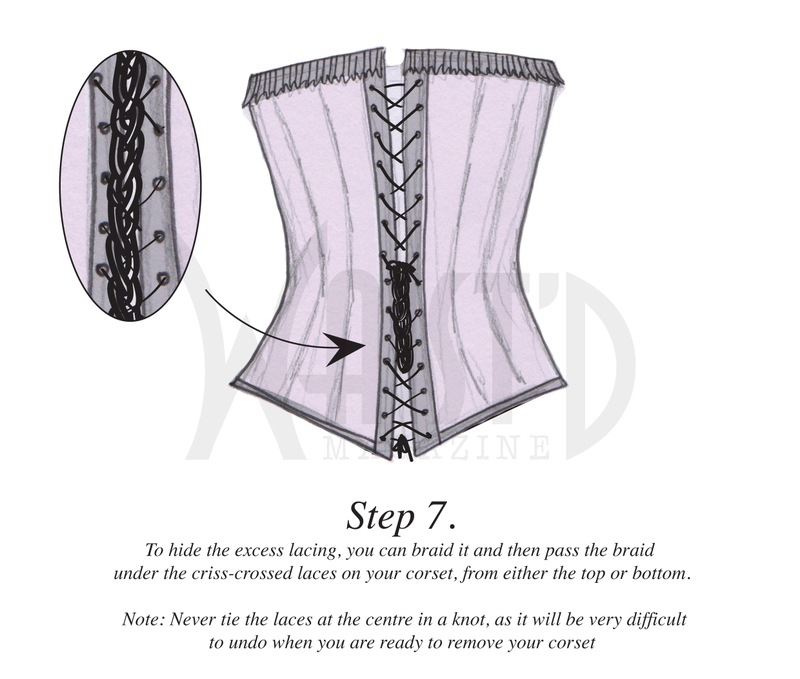 A video explaining step 7, how to hide the excess laces of a corset. 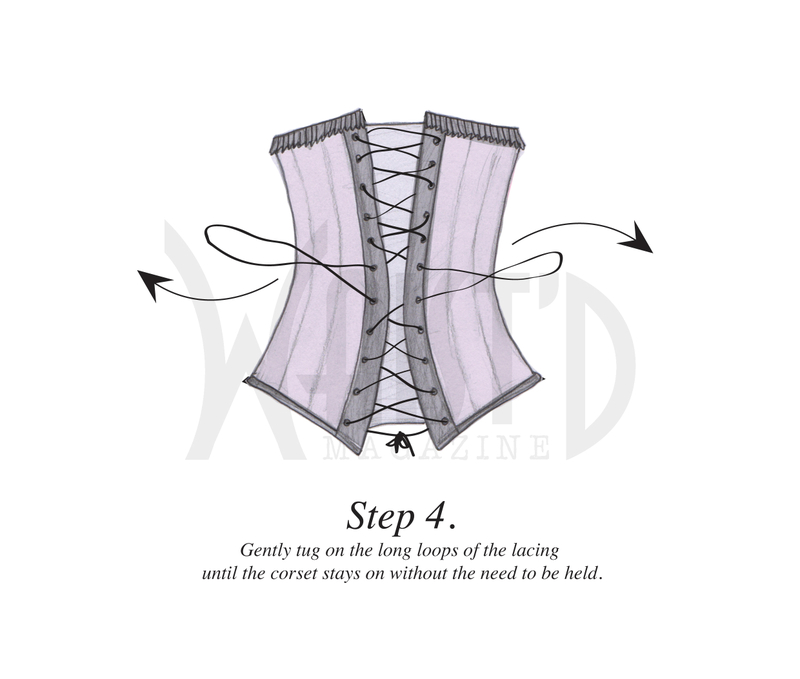 We understand that the world of corsetry can be overwhelming and so we’ve combined the best of the science and creativity in the industry to make a simple demystifying guide which can be found here.